Succeeding in your career is one thing, having true belief in it is something else entirely. That’s the conundrum entrepreneur faced as she lay on her recovery bed following a near-death experience. Sure, being a high-flying beauty PR had its perks with an endless lipstick and liner supply, in fact it was her experience working with mega brands Estée Lauder, Ruby & Millie and Cowshed that persuaded her to set up her own PR business, but it was a heart-stopping life event that made her realise she had more to give. 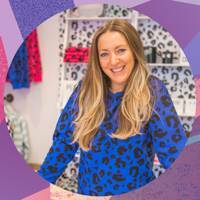 In this moment of reflection, Jo came up with the idea for – a clothing and lifestyle brand with a full focus on helping others and sparking inner confidence and power. 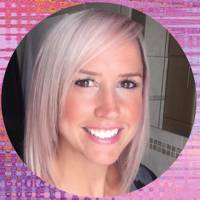 A few years on, with multiple awards under her belt, Jo is stepping back into beauty and collaborating with one of her first-ever clients, . The concept? Using scent to spark your own superpowers. 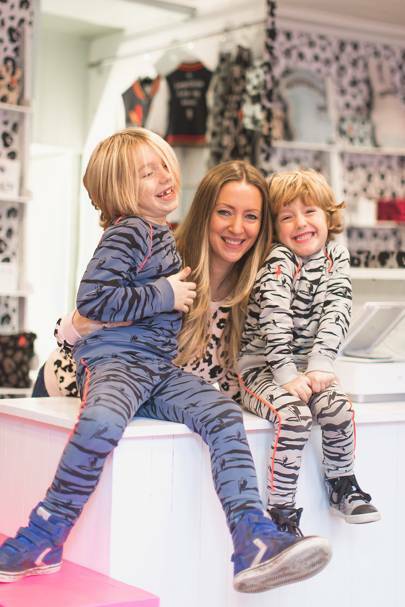 GLAMOUR talks to Jo Tutchener-Sharp about the ups and downs that led her to start her own successful brand, and discovers why helping others has finally given Jo the purpose she craved. I studied fashion at university, which (after a year of interning) led to my first proper job in fashion PR. 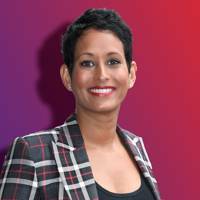 I moved over from fashion to head up the beauty division after meeting makeup artist Ruby Hammer and beauty entrepreneur - now head of the British Beauty Council - Millie Kendall OBE, who approached us to represent their make up brand Ruby & Millie. 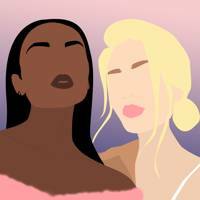 It was these two brilliant women who changed my preconceptions about the beauty industry and made me realise it’s full of smart, creative, intelligent, interesting people. I worked in PR for 7 years before moving in-house to become head of communications for Estée Lauder and Tom Ford Beauty. It was an absolutely brilliant place to work, ELC really care about their staff and being in-house gave me an understanding of business as a whole. The only downside was lack of creative freedom as most of the brand direction came from the US head office. I missed the creativity, buzz and excitement of the agency world. One creative project I did initiate at Estee Lauder was a beauty pop up backstage at The BRIT Awards. After leaving ELC to open my own PR agency, Beauty Seen in 2007, I developed this idea into a fully serviced backstage spa to entertain the artists, complete with massages, facials, manicures, hair and make up. The BRITs Spa was one of my first clients at Beauty Seen, along with Cowshed. Little did I know this would become a long-term relationship for me - I’ve just completed my 14th BRITs Spa! A couple of years ago my life took an unexpected turn, I‘d just sold my shares in my PR agency when I developed a spasm in my face. I remember saying my head felt like it was going to explode, but the doctor told me it was severe stress. A couple of months later, I suffered a brain haemorrhage and discovered a lump that could only be removed with brain surgery. Everything changed at that moment. I found myself asking myself how proud I was of the life I’d lived. I had the time of my life running a PR agency, but I hadn’t actually done anything purposeful, and I definitely hadn’t helped enough people. It’s a horrible feeling to realise it might be too late. I made a pact that if I made it through the surgery, I’d spend my life helping others and giving back. 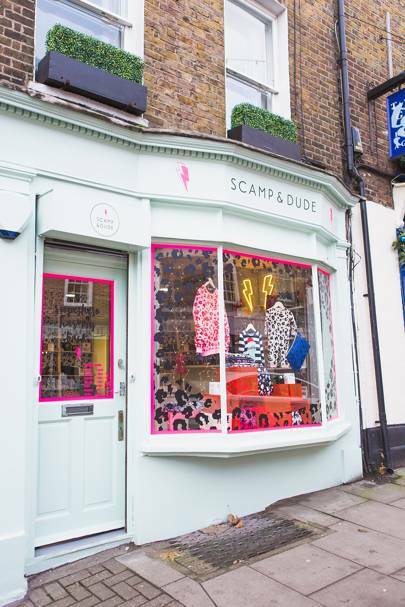 The idea behind my brand, Scamp & Dude came when I was recovering in hospital. My kids were just 1 and 3 years old at the time and visiting me would have been terrifying for them – I looked like Frankenstein with one side of my head shaved, a large cut and 20 staples. I wished I could have given them a Superhero to keep watch while we were apart, so the first product I designed was our . These special little Superhero comforters have a pocket on the back to hold a photograph of someone they want to hold close, giving kids an extra sense of security when apart from their loved ones. But the best bit is, for every one sold, we donate another to a child who has lost a parent or is seriously ill themselves. We’ve donated over 1200 to children in need so far. Our slogan ‘a Superhero has my back’ reminds kids that someone is watching over them at all times even when they can’t see you, and our Superpower Button on clothes gives kids (and grown ups!) a burst of superpowers when they need it most. The Scamp & Dude grown up clothing collection has surprised us all by becoming even more popular than the kids collection. Our signature , have become a firm favourite of Robbie Williams, Emma Willis, Billie Piper and Liv Tyler. Last year, we launched our which continue the ‘pay it forward’ philosophy - for every leopard and lightning bolt scarf sold, we donate another to a woman in need. It seems us grown-ups want a Superhero to have our back too and all need a burst of superpowers every now and again. After this, beauty seemed like the obvious next step. 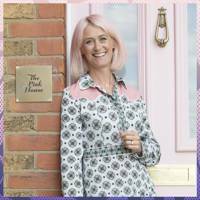 I absolutely love Cowshed – it was my very first PR client in my agency. Their ethos, heritage and of course the products are outstanding and have always held a special place in my heart. Babington House, where Cowshed first began, is one of my favourite places in the world. 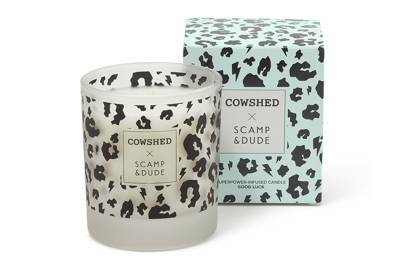 For the Cowshed x Scamp & Dude collection I decided to work with my favourite Cowshed Wild and Grumpy mood-enhancing scents to create two Superpower candles and a Superpower spray. The , contains grapefruit, which can be used as an anti-depressant, plus mandarin to soothe the nervous system, while , brings superpowers via ginger, lemongrass and rosemary, which are all used to bring good luck in ancient folk law. The Superpower Spray, £16, for kids is something I’d always wanted to create - a calming mist infused with notes of mandarin, chamomile and lavender to help kids sleep and give them a boost of superpowers if they’re worried or scared. 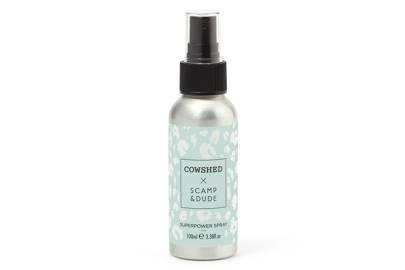 It’s wonderful to collaborate with Cowshed for this and bring the brand's natural, mood-boosting philosophy into the mix. Seeing my designs help people is incredibly rewarding. I get so many letters from parents telling me how Scamp & Dude gives their children power. One little boy with cerebral palsy called Freddie uses his Superpower Button to give him strength to go on an unaided walk, while other kids who struggle to communicate press their Superpower Button when they need a hug. These stories keep me going when I’m exhausted and working late. The most challenging part of my job is definitely dealing with copycats. We’ve had two large brands sail too close to the wind, heavily influenced by Scamp & Dude and there are small brands that think its ok to replicate what we are doing too. I’ve spent a fortune on legal fees and it is emotionally draining too, but I have to stand up and protect what I’ve created. I’ve worked too hard to let other people walk all over me. If you want to start a business, the essential things are passion, purpose and product. You have to be prepared to make sacrifices, so ask yourself if the passion will still be there in 5-10 yrs time and make sure it is something you really believe in. If your business has a purpose this will drive you when times get tough. Finally, make sure what you are creating something special. New brands are popping up all of the time, which is brilliant but it makes the marketplace very crowded. People told me not to launch a clothing brand because ‘everyone’s launching a clothing brand’ but as long as you launch something different/special then you will cut through, so don’t listen to doubters if you truly believe in what you are doing.